Gazidis has formally informed Arsenal's board of an offer from the seven-times European champions and, although a definite decision has not been made or confirmed, the departure of the club's most influential executive has become a very real possibility. Having overseen a comprehensive restructure of the club in recent years, most notably with the departure of long-serving manager Arsene Wenger, there is a sense inside Arsenal that Gazidis may now feel that the time is right for a different challenge. There have been reports in Italy that Gazidis could even start in a new executive director's role next month, but it is understood that his potential notice period at Arsenal would rule out that sort of timescale and there is confidence that he would not push to leave suddenly and risk a damaging void. Arsenal also feel confident that their off-field set-up - thanks largely to the revolution that Gazidis has overseen - is well equipped to deal with and adapt to his potential departure. It is, however, an increasingly serious situation ahead of a Premier League season that begins in only 11 days with the visit of reigning champions Manchester City. Since the departure of Wenger, Gazidis has been the leading day-to-day influence at the Emirates. He was the driving force behind a series of key recent appointments, notably Unai Emery as head coach, head of football relations Raul Sanllehi, head of recruitment Sven Mislintat, lawyer Huss Fahmy and Darren Burgess, the director of high performance. A final decision has not yet been made - and Arsenal's board are still hoping that Gazidis will stay - but the club's current inability to offer any clarity over what has been a firm offer from the Italians is significant. Arsenal released a statement last week in which they pointed out that Gazidis has always been committed and which stressed that he was working hard in collaboration with Emery but they could not give assurances about him staying. AC Milan were recently taken over by hedge fund Elliot Management after former owner Li Yonghong failed to repay a debt to the American firm. 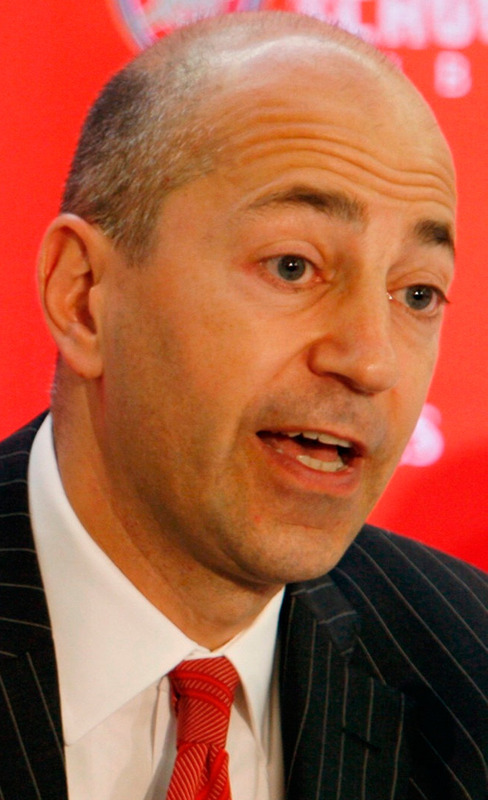 Gazidis previously worked in the United States as the deputy commissioner of Major League Soccer, a competition for which he was part of the founding committee. Through his work at Arsenal since 2009, as well as on the boards of the European Club Association and various Fifa and Uefa committees, Gazidis is also well known to many of the leading figures in Italian football. There would still be considerable surprise inside football that Gazidis may now leave at a moment of maximum power and influence. The counter-argument, however, is that a task he always described as Arsenal's greatest challenge - replacing and restructuring post-Wenger - is largely complete. The challenge at Milan is certainly huge. They finished only sixth in Serie A last season and were trounced 5-1 by Arsenal in the Europa League. They have won only one league title since 2004 but are a major 'sleeping giant' in European football at a time when many of the leading Italian clubs are pushing for major reform of the Champions League and a European Super League.